Relaxing by the poolside is a favorite pastime, but simply having a pool isn’t enough – you need a pool deck to create the total experience. A well designed pool deck creates a fun and functional space for you, your family, and friends to enjoy, giving you space to relax around the pool, store pool-related supplies, and most importantly – easily & safely access the pool. Installing a well-crafted deck will not only provide safety and slip-resistant pool access, it will also add value and appeal to your home. 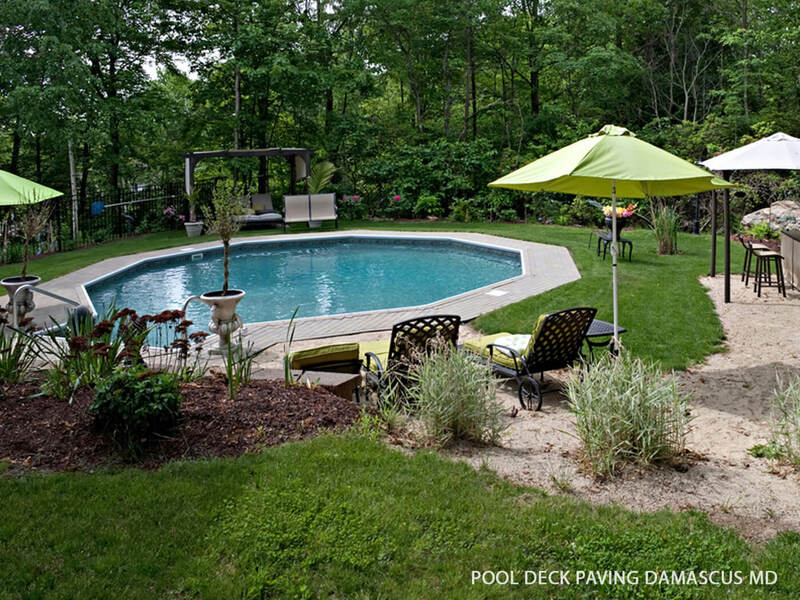 ​Whether you have small children and you’re looking for safety first, or whether you’re a host looking for the ultimate in backyard entertainment, with a custom designed pool deck from our Baltimore Paving experts you can have the best of both worlds. Our experts in pool deck design and repair can work with you to create a space that perfectly suits your needs, combining safety and easy pool access with elegance and style. Make the most of your swimming pool by outfitting it with a high quality, attractive deck that will serve you for years to come. No matter what kind of pool deck look you’re going for or what type of pool you have, our paving experts will work with you to achieve exactly the pool deck you’ve envisioned. Why Can You Rely on MD Paving Pros? Your satisfaction is our goal. Our team of experts based out of Baltimore, MD can install new paved or wooden pool decks as well as resurface and repair pre existing decks, all using the highest quality material at affordable prices. Whether your concerns with a pre existing deck are mainly for safety or aesthetic appeal, we will thoroughly inspect your deck and do what it takes to make it as good as – or even better than – new. 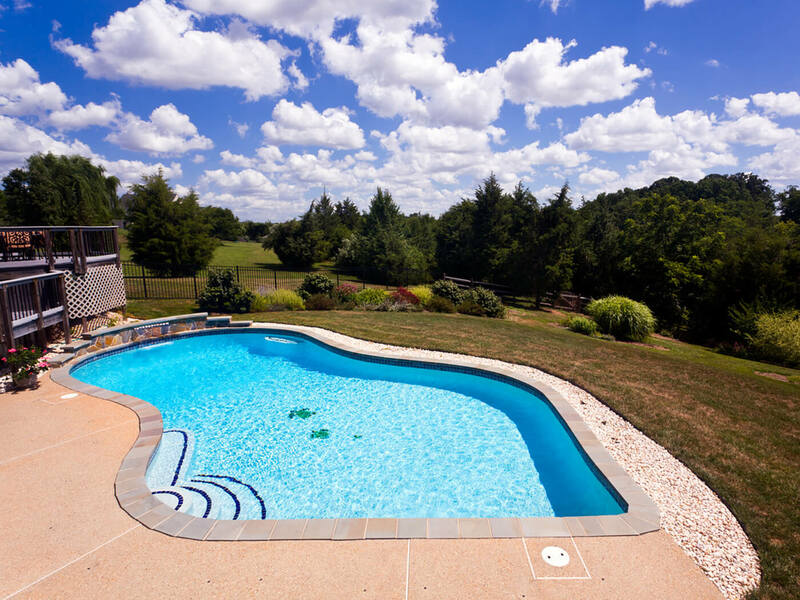 From the smallest of repairs to the largest of new decks, we have the equipment and the experience to make your pool deck shine. Maximize your pool’s potential; give us a call for a free quote today. Whether you have a new pool and you’re deciding on a deck style, or whether you have a pre existing deck with a few minor issues, the process begins with a call. Our specialists will help you determine what solution will best fit your needs. Installation of a new deck will vary depending on the type of deck being installed, but the process will always be based on taking accurate measurements; ensuring solid foundational ground; and creating a safe, functional, and beautiful design. If you’re considering a paved pool deck, visit our pages on paving to learn more about the paving process. Cracks can be caused by freeze/thaw cycles, shifting ground, and excessive pressure. Crack filling involves cleaning the edges of existing concrete and filling the empty space with a new, durable concrete mixture which will be made to match the existing concrete as closely as possible. 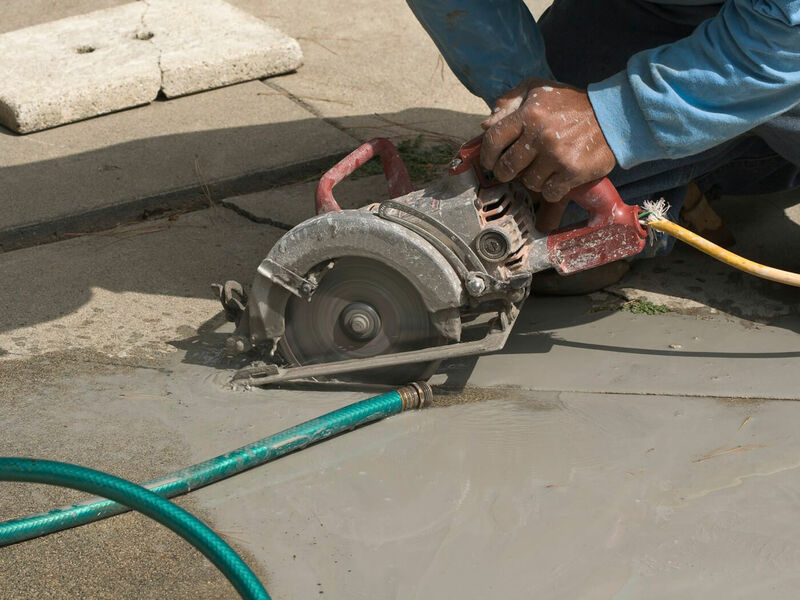 Uneven concrete is caused by the shifting of the ground underneath the concrete around your pool. This can be remedied by injecting materials such as sand-based grout or specialized foam products underneath the shifted slab to restore levelness. It’s always a good idea to seal your concrete pavement, especially your pool deck. Sealing will prevent weather damage and staining, and is offered in non-slip varieties which not only protect your deck, but protect your swimmers from slipping, even when the concrete is wet. You can read more on the sealing process at our Sealcoating page. Replacement may be necessary when part or all of your deck has sustained significant damage. With our wide range of available materials such as quality pool concrete, and our skilled team of experts, we are equipped to handle any type of damage and to replace all types of decking material.